David Walter | Halberstadt Financial Consultants, Inc.
As President and Chief Investment Officer of Halberstadt Financial Consultants, Inc., Dave formulates investment strategies and supervises the firm’s investment research and portfolio analysis. He brings over 30 years of financial experience emphasizing objective, practical advice and professional expertise. Prior to joining HFC, Dave served as Treasurer and CFO of the Carnegie Foundation in Princeton, NJ, for 9 years. In that role, he was responsible for oversight of the foundation’s investment portfolio and advising the Board of Trustees and foundation president on asset allocation and investment policy development. 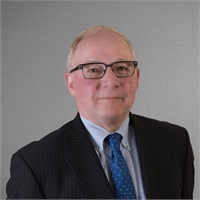 Prior to that, Dave was in private practice as a CPA and supervisory auditor with Peat, Marwick, Mitchell, and Co., a predecessor to KPMG, where he served the needs of high net worth individuals and nonprofit organizations. Dave a Certified Public Accountant and a Certified Financial Planner™ professional, and a graduate of the University of Maryland.